The theme for this year is Share and Care and there has been more focus on supporting the most vulnerable of the Gogos. In August 2012 the Gogos went on a trip to White River where they viewed the movie “Jock of the Bushveld”, a historical story set in this area. After the movie they were served lunch and relaxed in the Church grounds. Afterwards they had a picnic lunch courtesy of St Georges Church in White River, then hit the Mall in the city, window shopping. The Game store (similar to Canada’s Zellers) treated them to cold drinks and fancy cookies which finished the day off on a high for them. 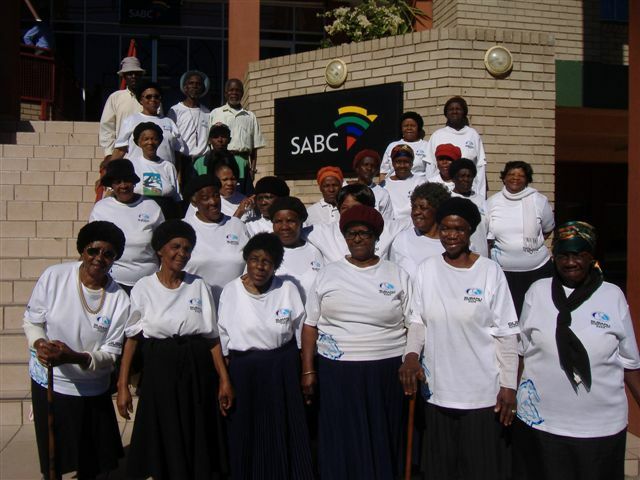 In June 2009 the Sabie Grandmothers, supported by Grannies à Gogo, enjoyed two outings. Symbolic of gaining voice, one visit was to a local Radio/TV station (SABC). Another tour was to The African Rainforest Botanical Gardens. It is this intangible improvement of quality of life which Grannies à Gogo feels is just as important as addressing basic needs such as food, clothing, shelter, or medical needs. The description of this outing indicates the sense of community Sitabogogo is developing and a return of zest for life. Gogos ‘find their voice’ with a visit to SABC Radio in Nelspruit city. 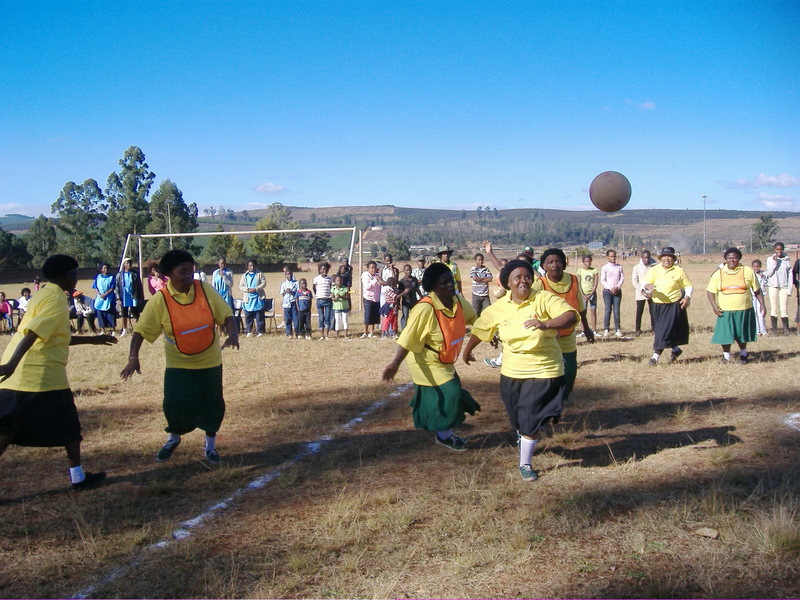 On June 16, 2008, South Africa’s National Youth Day holiday, Sitabogogo – elderly and weighted with worries – decided to “get in touch with their inner youth” and Play Ball! They staged a soccer and netball competition. They prepared for this by having regular practices and sewing their ‘short’ skirts (see photo) themselves. What a change from just over a year ago when these sedentary ladies didn’t know each other and often felt alone with their problems. They have become a team in the truest sense of the word. This venture speaks volumes about the gogos’ growing fervour for life. 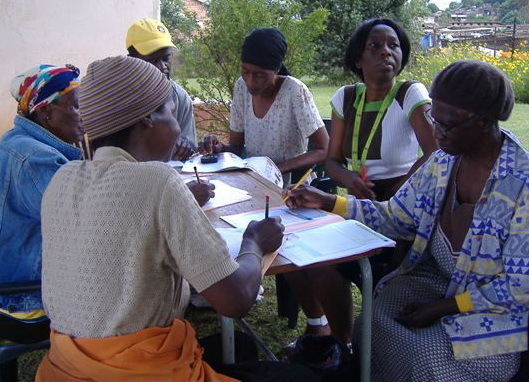 In early 2009 Sitabogogo used funds raised by the Grannies à Gogo to buy a ping pong table. The Gogos had having fun learning this new activity during their winter months. 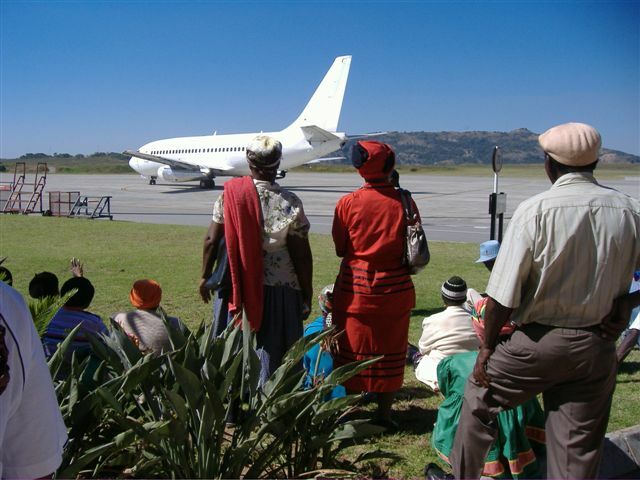 There is an amateur theatre group known as the Association for Community Theatre in Sabie (A.C.T.S.) who produce a pantomime play before Christmas every year. This year (Christmas 2008 ) Ginny and Milly organized for about 40 gogos to be bused to the dress rehearsal of Little Miss Muffet. In 2009 they attended “Aladdin”. For more details of their fun see Susan’s blog: Play time. · ABET Literacy (Adult Basic Education and Training) is a South African government initiative. In 2009 Ginny arranged for instructors to come on site to do sessions with the gogos. Sitabogogo now has access to the ABET literacy class. Previously, the members of Sitabogogo were living in isolation and despair with their problems. Through their relationship with Grannies à Gogo in Vernon, Canada there was a new sense of hope for the future, adding a zest for life and a sense of joy and community with each other. Today the Sitabogogos live together, play together, work together and are no longer facing their hardships alone.